7.3" x 9.0" stitched on 14 count. 5.7" x 7.0" stitched on 18 count. Sunshine Baby Sampler cross stitch pattern... This sunshine centered baby sampler will retain its appeal throughout the ages. 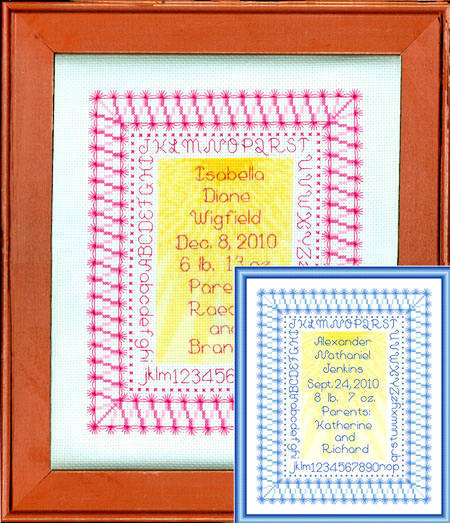 Alphabets and numbers from the sampler are used for the personalization. Color options make the design more feminine or masculine. Whole and back stitches are used.